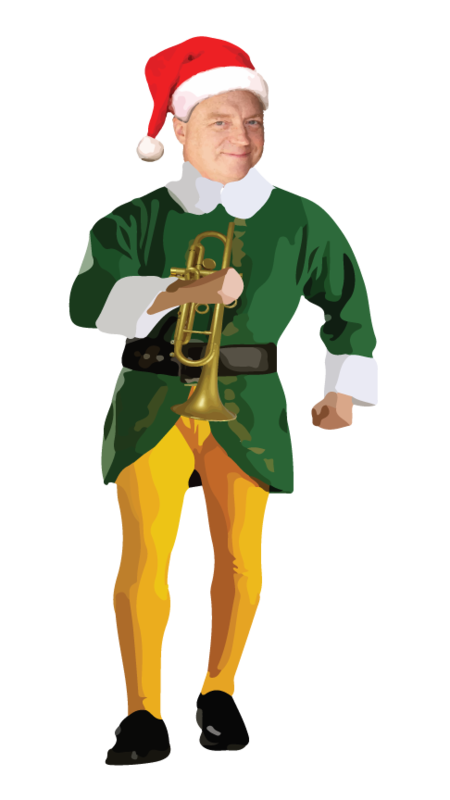 Join the Pennsylvania Philharmonic Brass for an afternoon featuring the best music of the season. With seasonal favorites, Jazz transcriptions, classical selections from the Nutcracker, and music from beloved holiday movies (Home Alone, A Charlie Brown Christmas, The Grinch, White Christmas, Meet Me in St. Louis, and more! ), this unforgettable, fun-filled program is guaranteed to hit all the right Yuletide notes! Guy attended the Royal Academy of Music under a full scholarship. While at university, he performed regularly with the Academy Symphony and Concert Orchestras, working with world-renowned conductors such as Sir Colin Davis, Vladimir Ashkenazi, Yan Pascal Tortelier, Tadaaki Otaka, Susanna Malkki, Thierry Fischer, Ignat Solzhenitsyn, J. Reilly Lewis and Diego Masson. Guy can be heard on recordings released under the Academy's own label, "The Magic Flute: Live with Sir Collin Davis" and "Richard Strauss: Complete Works for Brass". Upon graduating from the Royal Academy of Music in 2009, Guy returned home to the United States. In addition to regular concerts with the Pennsylvania Philharmonic, Lancaster Symphony, Kennett Symphony, Maryland Lyric Opera, and Mid Atlantic Symphony Orchestra, Guy frequently performs at the Baltimore Basilica "Americas First Cathedral” and the Cathedral of Mary Our Queen. Scott Marino is a graduate of the Curtis Institute of Music in Philadelphia. His teachers have been Phillip Smith and John Ware, principals of New York Philharmonic; Frank Kaderabek, principal of Philadelphia Orchestra; and Leon Rapier, principal of the Louisville Orchestra. His professional career began at the age of 18, when he started substituting with the Philadelphia Orchestra. Later he played third and assistant principal with that Orchestra for one season. As a principal player he has performed with the New Jersey Symphony, Concerto Soloist of Philadelphia, Orchestra Sinfonica of Torino of the RAI Italy, New York National Opera Orchestra, and Trenton Symphony of New Jersey. As a substitute he has performed with the New York Philharmonic Orchestra, New York City Opera Orchestra, the Metropolitan Opera Orchestra, the Pennsylvania Ballet Orchestra, and the Long Island Philharmonic Orchestra. Presently Scott Marino has a private trumpet studio in Philadelphia and is a free-lance trumpet player, primarily in Philadelphia and New York City. Shona is an active freelance horn player and teacher in the Baltimore/Washington D.C. area. She performs regularly with the Baltimore Symphony, Kennedy Center Opera Orchestra, and many other local ensembles. Shona is also passionate about music education and acts as the Music Coordinator and Horn Teacher for the Baltimore School for the Arts’ TWIGS program, a comprehensive free arts program for elementary and middle school students in Baltimore City. She also maintains a private teaching studio in Baltimore. A native of Philadelphia, Shona received her B.M. from Vanderbilt University and M.M. from Peabody Conservatory. Shona is proud to have completed her main studies with two incredible female hornists, Leslie Norton of the Nashville Symphony and Denise Tryon, formerly of the Philadelphia Orchestra. Dr Cherry is the Assistant Professor of Trombone at West Chester University in Pennsylvania. From 2002 until 2014, Dan held a similar position at Western Carolina University in Cullowhee, NC. He also served on the faculty of Morehead State University in Morehead, KY, where he was a Lecturer of Music in 2001-2002 and as a graduate assistant at the University of Cincinnati from 1999-2001. Dan received his Bachelor of Music degree in Trombone and Voice Performance from Capital University in Columbus, Ohio, where he studied trombone with Joel Pugh and Scott Moore and voice with William Florescu. He went on to receive both his Master of Music and Doctor of Musical Arts degrees in Trombone from the University of Cincinnati’s College-Conservatory of Music. While at CCM, he studied trombone with Tony Chipurn and David Vining and conducting with Terrence Milligan. Before he began his teaching career, Dan was the Principal Trombonist of the Huntington Symphony Orchestra (WV). He has performed with the Cincinnati Symphony Orchestra (OH), the Dayton Philharmonic (OH), the Lexington Philharmonic (KY), the West Virginia Symphony, the Asheville Symphony Orchestra (NC), the Brevard Chamber Orchestra (NC), the Hendersonville Symphony Orchestra (NC) and the Spartanburg Philharmonic Orchestra (SC). He is also an active chamber musician, performing regularly with the Balaton Chamber Brass (trumpet/trombone duo) in concerts and festivals throughout the country. Dan has performed on several international tours (including concerts in China, Russia, Germany, Jamaica, Costa Rica, the Czech Republic and the UK) with the Kryos Brass, the Fortress Brass, and the Smoky Mountain Brass Quintet. From 1998 to 2000, Dan was a member of the Royal Brass, the quartet in residence at the Ohio Renaissance Festival; it was there that he met his wife, trumpeter Amy Cherry. They now live in West Chester, PA with their two daughters, Meghan and Kristen. Paul Erion, a native of Alexandria, Virginia, attended the Eastman School of Music, where he studied with Cherry Beauregard and Don Harry. In 1992, he toured Japan with the Eastman Wind Ensemble. 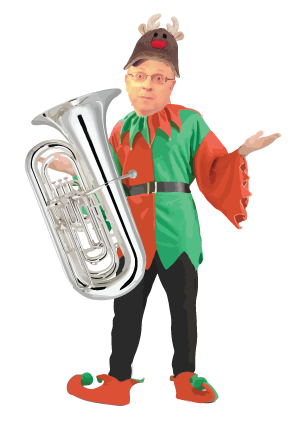 As the Principal Tuba for the Philharmonie der Nationen in Germany, Mr. Erion was involved in several television and CD recordings and performed extensively throughout Germany. He returned to the States to pursue graduate studies with David Fedderly at the Peabody Conservatory. He is currently Principal Tuba of Opera Philadelphia and has recently performed with the Chamber Orchestra of Philadelphia, the Philadelphia Orchestra and the Richmond Symphony.